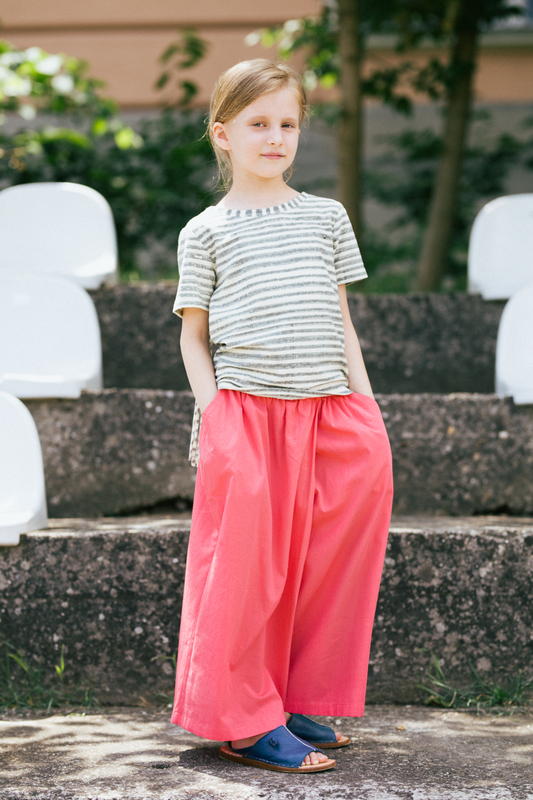 Wide leg organic poplin culotte with front pockets, and comfortable elastic waistband. 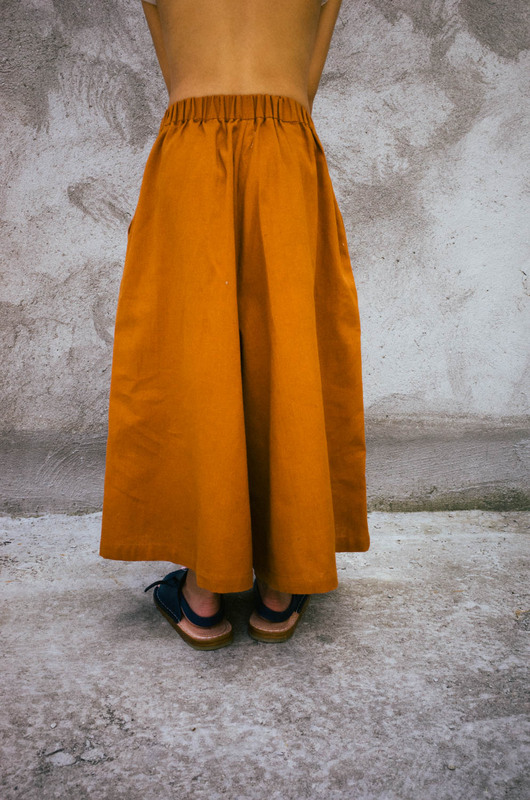 The kin ‘Volume Culotte’ is a slightly cropped culotte with a wide, flared, oversized leg. 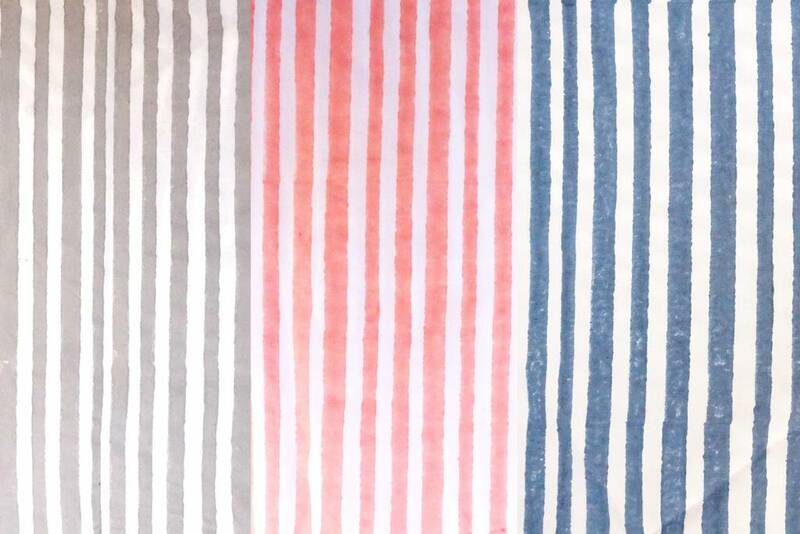 Colourways: Natural + grey stripe block-print.